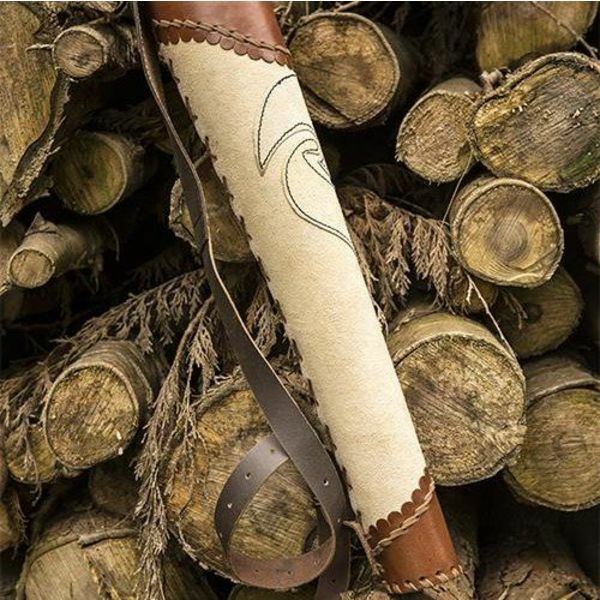 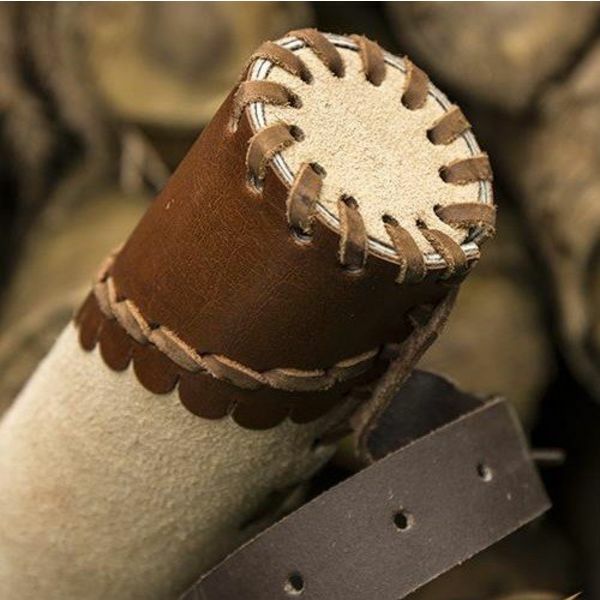 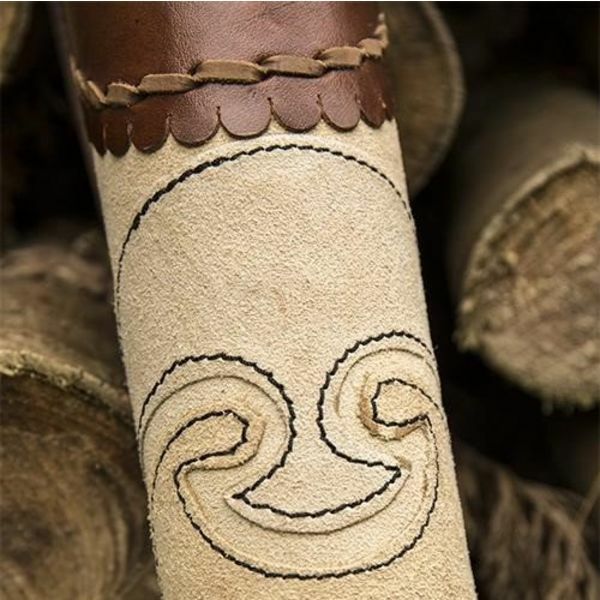 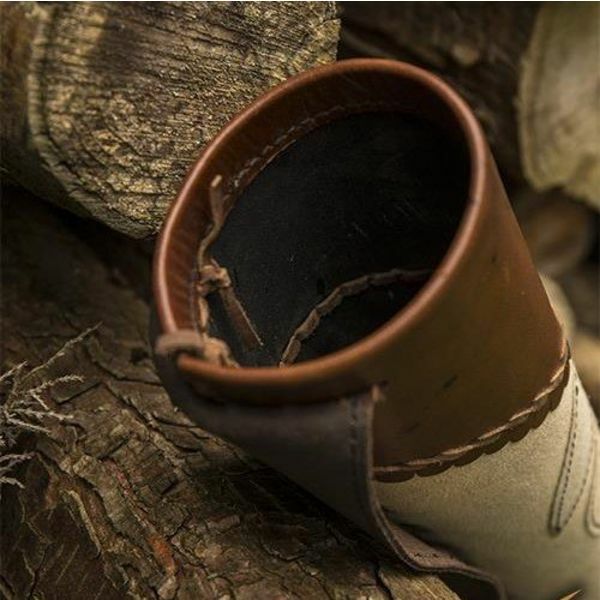 This luxurious quiver of durable cow leather and suede leather is perfect for re-enactment, LARP and cosplay. 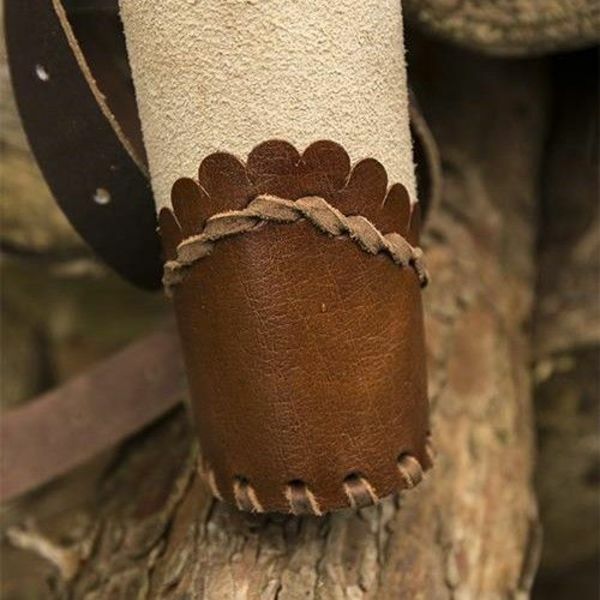 It can be worn over the shoulder or on the back thanks to the adjustable strap. 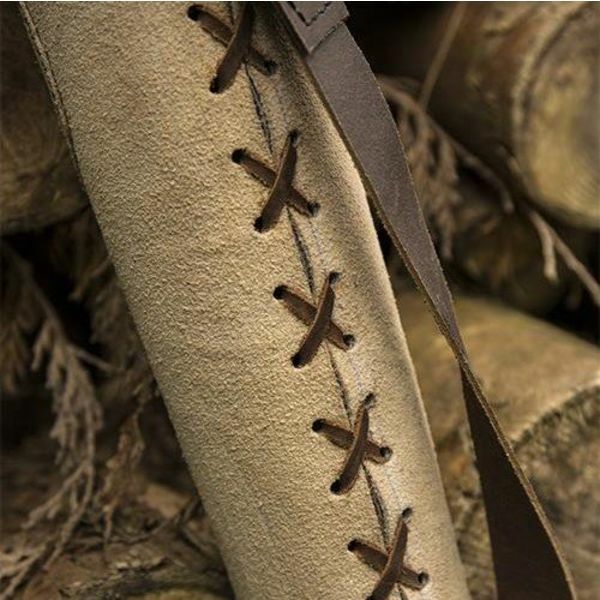 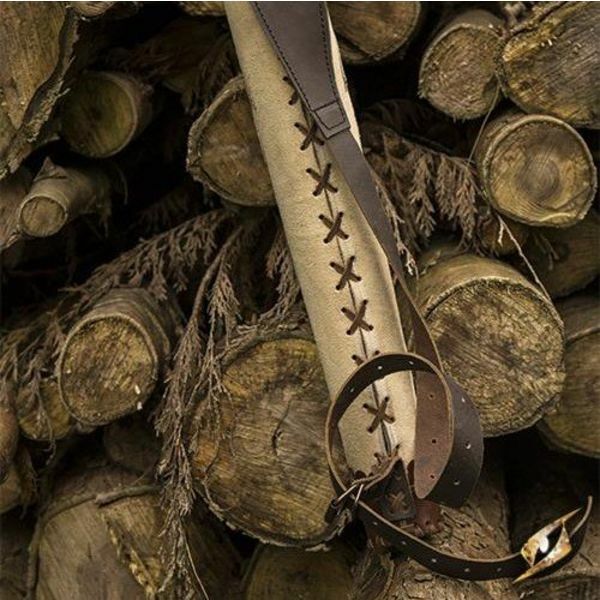 The front has a pretty decoration and the quiver has beautiful hand-worked details such as the stitching on the back that gives it a historical hand-made look.